Have you ever been surprised by a Springbok legend? It is a daunting and exciting week for learners as they embark on their first day of school for 2019. Dreams, excitement, and anticipation are building up as learners walk to their classrooms. Yesterday, South Africa saw Hoërskool Waterkloof’s headmaster jump out of an airplane and skydiving towards the 1843 learners. It was an incredible thing to witness. Martin Bester reminded everyone of the importance of making a grand entrance at the beginning of the year. 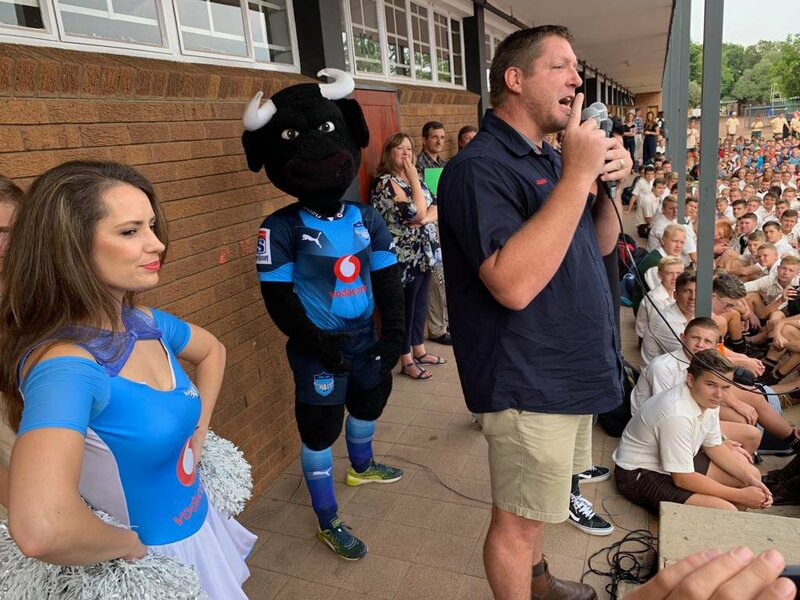 The headmaster of Hoërskool Montana arrived in style on Thursday morning when Bakkies Botha surprised everyone, as well as the Bulls babes! 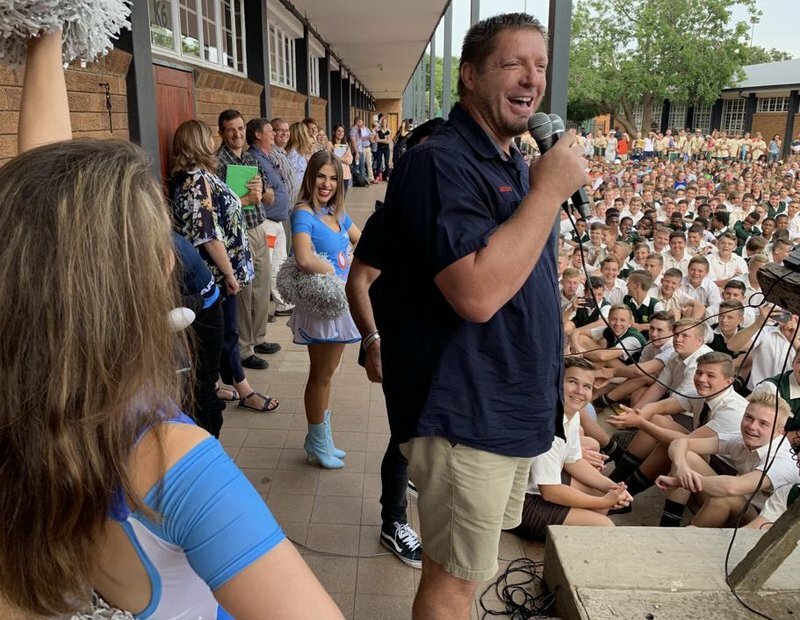 Bakkies Botha remembers his first day of high school: ”I remember my first day of school. I was emotional and you are scared of the unknown. I was in the hostel in high school.